Every year, around 12 million hectares of cropland are lost to soil erosion. But there is little detailed evidence about the precise threat it poses to future food, water and energy security globally. To address this, scientists at the University of Plymouth and the University of Valdivia in Chile are leading an international project which aims to evaluate and address soil erosion and siltation challenges in Latin America. 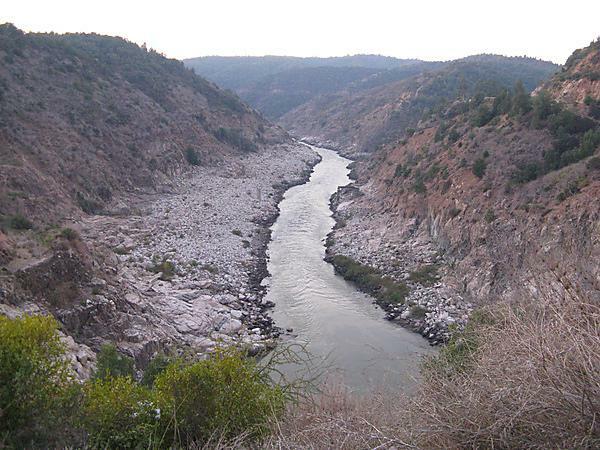 The research will be focused in the Rapel River basin in Chile, and aims to bring natural and social scientists from Plymouth and Chile together with forestry, hydropower and agricultural industry partners, and community organisations. It is being funded through a grant from the Natural Environment Research Council and CONICYT, a Chilean government agency, and will also involve researchers in Argentina, Brazil and Mexico. “Soil erosion poses a real threat to future global food security. It is also of major concern to communities that rely on river systems and, in particular, hydropower generation. So it is essential we tackle the problem, but there is no simple solution. What is crucial is that we understand not only the scientific reasons, but also the social, cultural and economic factors as well. The work being carried out in Chile will complement the existing Jali Ardhi project being led by the University in the East African Rift System. That study is funded by the Natural Environment Research Council, the Arts and Humanities Research Council and the Economic and Social Research Council, as part of the Global Challenge Research Fund. The new research aims to use scientific measurements along with locally-led participatory techniques devised by the Chilean Foundation for Participatory Innovation to develop an integrated model of intervention that will be implemented in the Rapel River basin, and that can be used as a model to train scientists in these techniques from other Latin American countries. The results of that work will be presented at workshops in both South America and the UK, forming a long term plan of how to manage soil erosion in the future. Scientists also hope the project will be part of a broad endeavour to establish a Global Alliance for Soil Erosion Control. They say it is essential because the only existing global facility – the Global Soil Partnership founded by the Food and Agriculture Organization of the United Nations – is voluntary and insufficient to reverse soil erosion at the global scale. Select an area of interest within marine, earth, geography and environment to see courses and programmes from our online prospectus.